The story was written by Khaya Caine, who was assisted by Visit Virginia&apos;s Blue Ridge in providing information, images and relevant links that were included in the piece. The article is titled "Virginia&apos;s Blue Ridge Offers Romantic Scenery, Cultural Events & World Class-Amenities" and is full of recommendations on unique experiences and things to do for travelers, including historical attractions, special events, local restaurants, and more. "For couples looking to illuminate their love at one of VBR’s most iconic landmarks, The Roanoke Star is a must-see stop during any visit to the region. Sitting above Mill Mountain and overlooking the surrounding valley, the star shines brightly for lovers every night. For 69 years, it has served as a welcome sign for visitors and locals alike. After visiting the star, couples can take a short drive toward downtown Salem for an elegant dinner at Blue Apron Restaurant & Red Rooster Bar which boasts modern cocktails, cuisine, and excellent service." DatingAdvice.com is a website that focuses on being "the authority on all things dating." The site receives over 2.4 millions and 3.4 million pageviews per month. 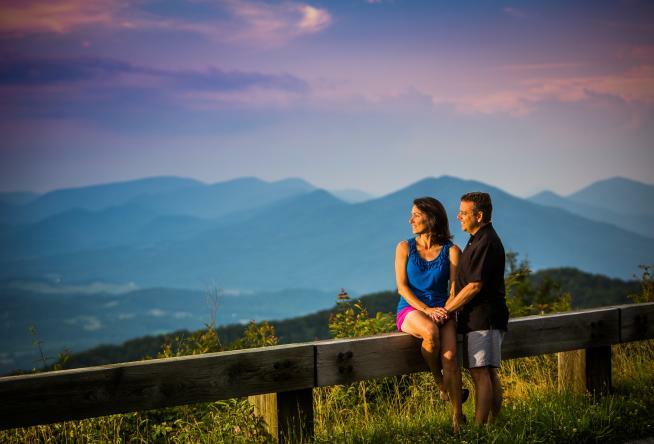 Click here to read the full article about Virginia&apos;s Blue Ridge on DatingAdvice.com. You can also check out our "Guide to a Romantic Weekend in Virginia&apos;s Blue Ridge" post to help plan your next romantic getaway.